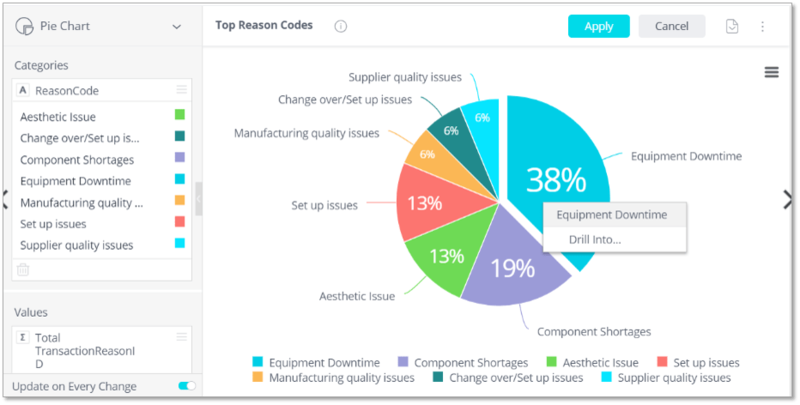 Deeper insights and broader visibility into operations helps manufacturers solve problems faster and improve performance. Morrisville, NC, February 7, 2019—TBM Consulting Group, a global operations management consulting firm, today announced new robust analytics capabilities of its cloud-based Dploy Solutions operations management software. See actions taken for immediate and long term course correction. The business analytics capabilities in Dploy Solutions are powered by Sisense embedded analytics. 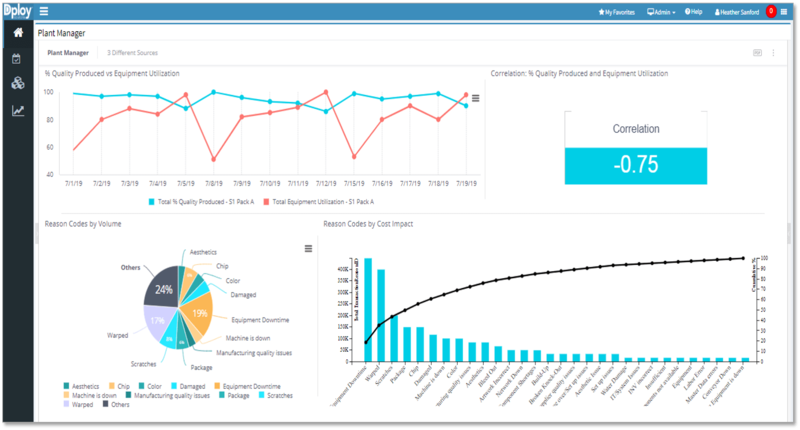 The new embedded analytics platform delivers insights on the relationships between operational KPI metrics and the outside data that resides in disparate systems such as ERP, MES, CRM, QMS etc. Dploy Solutions software offers data integration and data warehouse services supported by iConduct’s integration platform, to enable companies to stream data from any system, at any time interval and organize the data for quick, user-defined, analytics development. Users can generate customized dashboards containing data specific to business units, job roles, operational goals etc, so operations associates have access to the data that matters to their job. What makes Dploy different is that users can capture why problems happen via reason codes. Operational leaders can conduct an analysis to better understand common reasons of issues and then produce countermeasures for long term improvement. Dploy Solutions provides online lean-based problem solving tools (5-why, A3 and 8D) and action plans so continuous improvement projects stay on course to completion. 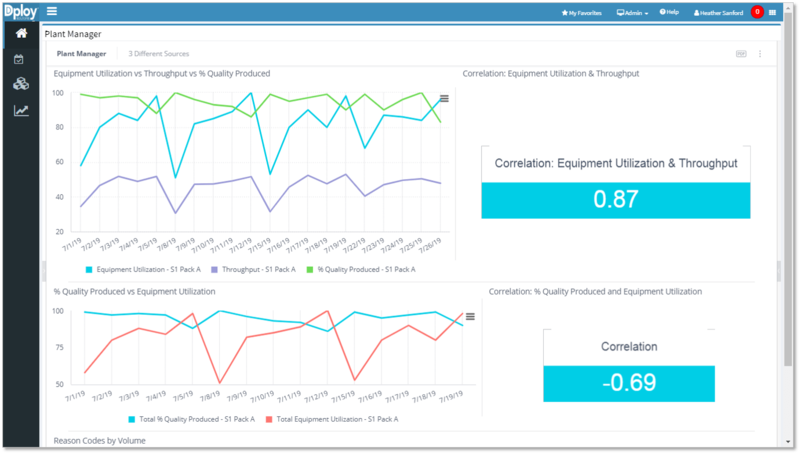 Learn more about the new Dploy Solutions analytics capabilities here. For more information about Dploy Solutions suite of capabilities, visit: www.dploysolutions.com or call 800.438.5535. Marketing Manager | TBM Consulting Group, Inc.